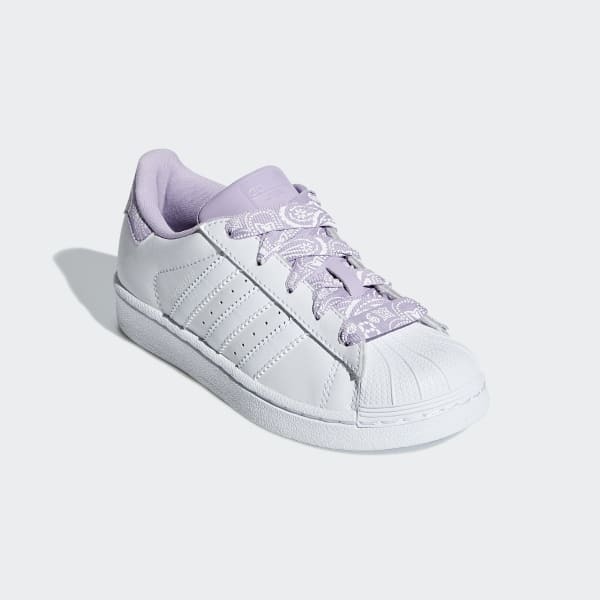 Kids' shell-toe shoes with graphic-print details and wide laces. 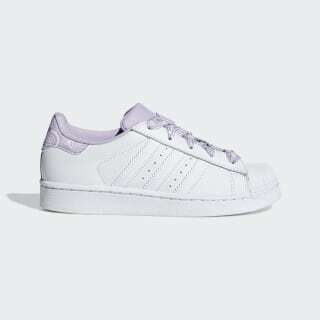 From B-ball MVP in the '70s to hip hop VIP in the '80s, the adidas Superstar shoe has become a footwear fashion star. These kids' shoes put a fresh spin on the classic low-top leather look with a contrast tongue and paisley-print details inspired by bandanas. Extra-wide laces add oversize attitude that recalls '80s streetwear trends. A ridged rubber shell toe and rubber cupsole stay true to the iconic style.